2019 marks the beginning of a new chapter for The House of Veronese, as the brand paves the way for the future with both the upcoming opening of its new showroom and the launch of its brand vision. 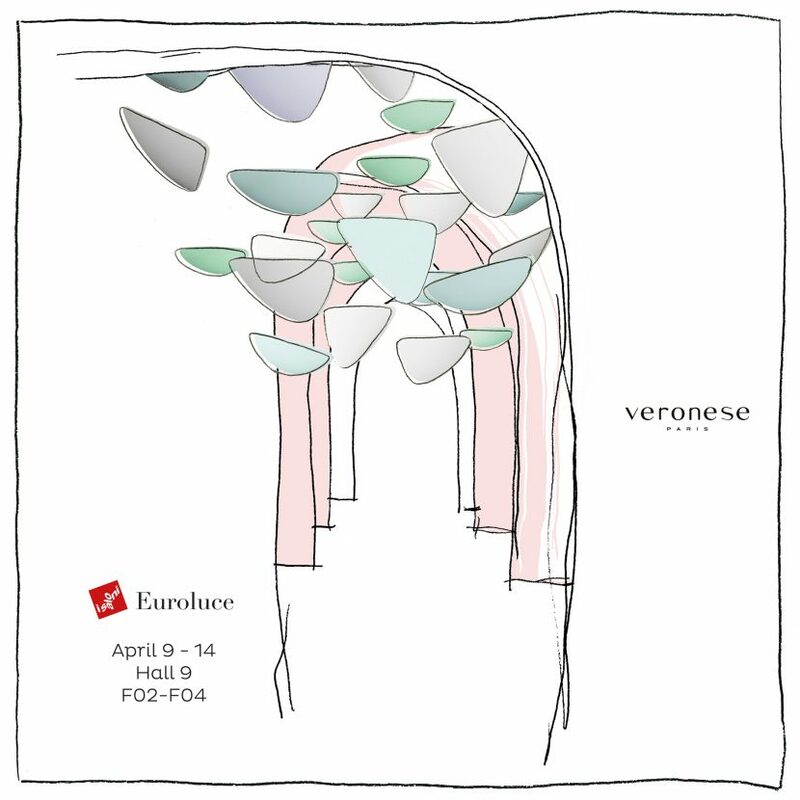 As a prelude, Veronese will present at Euroluce 2019 a hint of what lies ahead for the brand with the presentation of new designs by Constance Guisset and Isabelle Stanislas against a colorful new scenography. With over nine decades of experience behind the brand, Veronese delivers a contemporary vision of Murano decorative arts without forgetting its past or its DNA. This vision goes beyond design and focuses on creating experiences. The relationships Veronese has forged over the years have allowed the brand to evolve and grow. 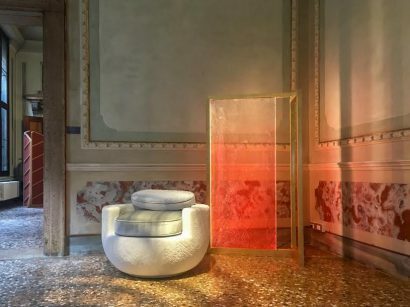 For the past decade, Veronese has worked closely with Venetian artisans and diverse designers to create contemporary collections with traditional techniques. With its eyes on the future, Veronese chose for Euroluce 2019 to collaborate with two renowned French designers who each bring a personal design approach that is unique and contemporary. These new designs will be set within a very new and different atmosphere. The Creative Director chose to break from traditional black and white patterns and create a colorful, warm, and welcoming ambiance. Vela is a luminaire that marries the invisible. 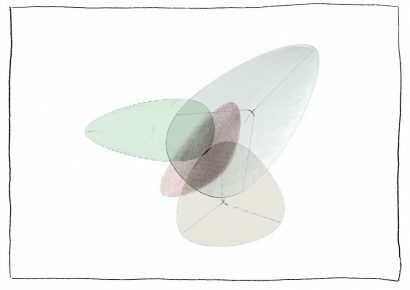 Its shape evokes a sail fastened at three points, swollen by the wind. Its organic movement embodies both the breath of the air and the wave of the sea. The technicality concealed gives way to an impression of lightness. The Murano glass handmade in Venetian workshops, with different sizes, colors and textures, delicately embraces its fluid form. This suspension can stand on its own or be organized into a composition to form an installation manifest – inviting the imagination to be swept away. The design has four different sizes and handcrafted textures – deep stripes, brilliant stripes, stitched cylinders and speckled opaline. The Paralight is a paradox that mystifies the senses. Its shape recalls that of decorative screens used to separate and hide away people and spaces, creating a sense of privacy and intimacy. But, this particular design plays with the idea that nothing can truly be hidden or separated as it transforms into a wall of light, illuminating the spaces it divides, bringing light to areas meant to be hidden, and inviting you to play with its textured and brightly colored light. What may seem hidden is suddenly, but softly, illuminated. The design is made from a solid piece of Martellatto Murano glass. “Martellato” glass, or “hammered” glass, involves a traditional and labor-intensive technique of embossing one side to make it semi-opaque. This process requires expertise since it is fraught with the risk of breakage, but the successful result is breathtaking. The glass color is a progression from crystal to amethyst, adding an additional element to its lighting affect. The initial idea for the Ice collection was to create a glass element that could be the basis of everything. 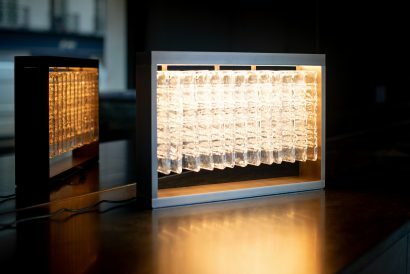 Reda Amalou therefore imagined a 9 cm x 20 cm glass tablet, with which you can compose the lighting design of your choice. The tablet is hand-pressed with a geometric pattern that captures and scatters the light. For 2019, new suspensions with a circular brass structure and a rectangular framed table lamp have been added to the collection. Join us for Euroluce 2019 this April 9th – 16th during Milan Design Week at the Fiera Milan, Hall 9 / Booth F2- F4.